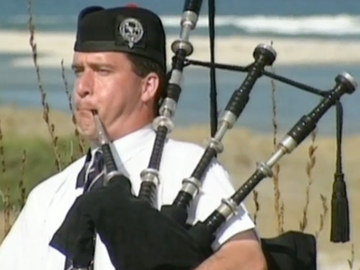 Bagpipes, haggis, and the heartbreak of leaving home; Hoots Mon examines those who have migrated from Scotland to Aotearoa. In the 1840s a group of Scots settlers started a new life in Dunedin, after breaking off from the Church of Scotland. Ayrshire-born director John Bates talks to some of their descendants, and heads to the far north to interview others with Caledonian roots, in Waipu. Alongside some impressive Richard Long camerawork, the interviews include composer Steve McDonald, whose ancestral research has inspired several Celtic-themed albums. 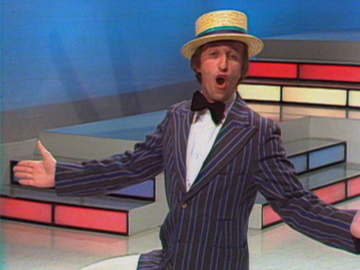 In 1979 entertainer Ray Woolf went from co-hosting Two for One to his own chat show. 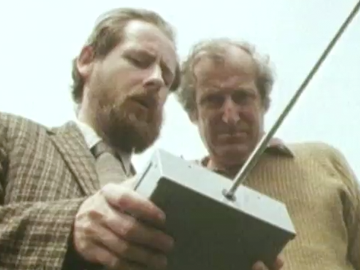 This wide-ranging 'best of' episode from the end of the first season takes in bloopers, the victims of the Amityville Horror, Doctor Who Jon Pertwee, Gomer Pyle Jim Nabors, Norman Gunston, Alan Whicker, Frankie Howerd, Derek Nimmo, Diana Dors, Austin Mitchell, poet Pam Ayres, humorist Erma Bombeck and singer Billy Daniels — plus Kiwis Ricky May, Ian Fraser (on piano), Tina Cross, Selwyn Toogood and Precious McKenzie. Woolf, was judged 1979 TV Light Entertainer of the year. Kidult drama Gather your Dreams follows Kitty (Kerry McGregor), an aspiring performer travelling with her family's vaudeville troupe in 1930s NZ. In this episode, the troupe competes for viewers with boxing promoter Ted Crawley (George Henare) at a Depression relief camp. Troupe patriarch Wallace (Terence Cooper) plots to best Crawley by managing "Haggis the brawling Scot" (actor's agent and On the Mat legend Robert Bruce’s acting debut). But the 'worker's hope' turns out to be a stooge with a glass jaw. Will coaching from Kitty save the day? The show must go on! Designer Garnet Nelson has a distinctive attitude to fashion for the rural sector, showcased in a range of clothes combining style and practicality — although the after five combinations may be a step too far. 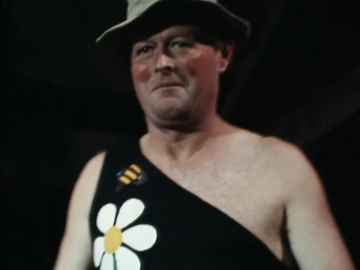 This might be one of the celebrated Country Calendar spoof episodes, but the buy-in from models who could only be farmers and not actors is a sight to behold. And the fashion tips don't end there. Reporter (and long time Country Calendar producer) Frank Torley adds his own sartorial note with an unfeasibly long shirt collar that has a mind of its own.